Port Augusta Racing Club offers premier thoroughbred racing for the Spencer Gulf region, with annual attendance figures over 6500 patrons, race days offer a genuine opportunity to reach a diverse group of people in a regional area. Sponsorship opportunities now available for the 2019 Season. Be a part of Port Augusta's premier social sporting event and immerse your business and it's brand in the excitement and exposure that attracts local and intrastate racegoers to Port Augusta. With the events broadcast to a targeted audience on SKY Racing, this offers your company great exposure for both local and national markets. Marketing of your brand through the new website, television, social media platforms and on track further promotes your brand. Do not miss this opportunity to leverage off the goodwill, community support and excitement that the City of Port Augusta Cup generates. During the season the Port Augusta Racing Club hosts 9 race days throughout the winter months, presenting numerous sponsorship opportunities. Port Augusta Racing Club is a major racing club in regional South Australia and the biggest in the Spencer Gulf and northern regions. 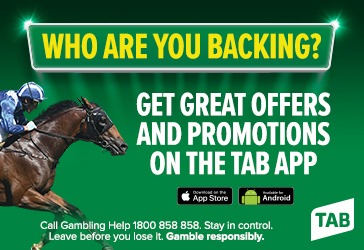 We welcome you to become a partner with the Port Augusta Racing Club. Contact Emily Holden at the Port Augusta Racing Club to discuss how your marketing dollar can reach a wider and more engaged audience.